With businesses that are ranking high organically, consumers and website visitors know that they have not just paid to be there like the businesses in the ad spots above them. They know that you are more likely to provide the solution that they are desperately searching for. Thus, SEO can be considered as one of the tools for earning customer trust and loyalty. The goal of any search engine (Google, Bing and others) is to deliver unbiased results that provide information you are looking for as quickly and as accurately as possible. In order to do this, search engines are capable of identifying all relevant information online and ranking them in order of their quality and relevance. Thousands of factors are involved when search engines rank sites in an organic search. Amazingly enough, they can analyze billions of pieces of data in as fast as a half of a second! The actions you take in order to optimize your website will have a direct effect on your SEO ranking. Components, such as H1 tags, the keywords used in your website meta description, content and keyword density, permalinks, and backlinks are some of many things that you can leverage to boost your ranking. Today we will have a closer look at backlinking and the effective strategies for your SEO activities. According to Scrunch, a backlink is the term used for a link that points to your website, whether it be to the homepage, a product page or another page. A backlink can come from your onsite blog, or it could be from an offsite destination, such as a blog, business directory, news website or industry resource. Search engines, such as Google use search spiders to index all websites based on the quality of backlinks they have. When you build backlinks of a good quality, you drive more quality traffic to your website. As a result, you become more relevant in search queries and get higher ranking on SERPs. It is important to keep in mind that when search engines calculate the relevance of a site to a keyword, they consider the number of QUALITY inbound links to that site. 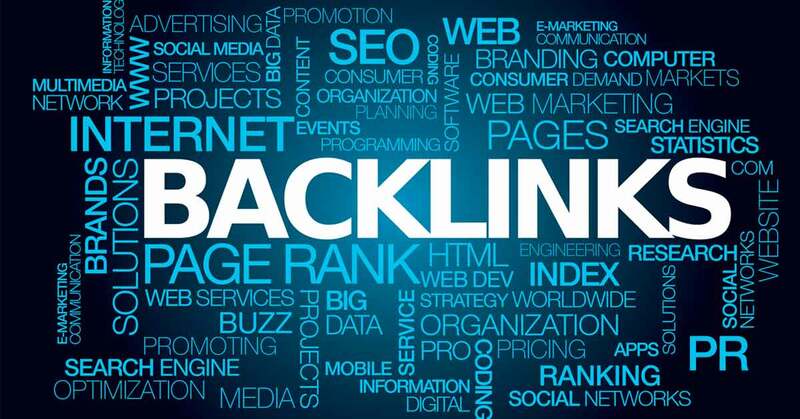 A quality backlink originates from the relevant authoritative domains in your niche. If the site linking to your website has a high Domain Authority (DA) and has similar unique content, your backlink will be good for SEO. As mentioned by Seohermit, Google wants to see links coming from high-quality sites that are associated with the outbound link given. Therefore, if you have a link from a completely unrelated site, it won’t be as valuable as a link from the related website. For instance, if you are a carpet cleaning company and you are getting links from an internet forum about TVs, something would seem wrong and ‘unnatural’ to the search engines. Why would a forum discussing TVs want to link to your carpet cleaning company? It doesn’t make sense to users and it will not make sense to the search engines either. Another factor to consider is diversity. Google likes to see lots of links, but not lots of links from the same domain. For example, if a website has 1,000 incoming links, but all originate from the same domain, those links will not improve the website’s rank as much as 1,000 links from 50 domains. Diversity is the key. Google is looking for lots of links that stem from many different domains, but even still, quality will outrank quantity every time. You have to give websites a good reason to link to your posts. Relevant, authoritative, engaging and most importantly, unique content forms the backdrop of all inbound linking activities. Carefully go through your current website and develop a list of your most-read content and keyword phrases that bring in the highest website traffic level. You will use these as a springboard for your upcoming backlink development efforts. Guest posts enable you to add natural backlinks to your website from a wide range of sites. It takes time to develop quality content for other sites, so acquire good writing skills before preparing guest posts. Don’t repurpose existing content or use duplicate content; that can hurt both your SEO efforts and the website you are targeting. In addition, the rising trend observed in backlinking practices is the use of Q&A websites for posting. Why? Nowadays, we can clearly see that there is a significant increase in the search volume of question queries, while at the same time a slight decrease in the search volume of generic primary keywords. Search engines have essentially become answer engines. Their job is no longer resource discovery, but rather to answer users’ questions. Everyone wants better organic rankings and maximum visibility. Few realize that optimal user experience is a big part of getting there. Google has learned how to interpret a favorable or unfavorable user experience, and a positive user experience has become a crucial element to SEO success. The last but not the least, it is important to pay attention to your anchor text. While including targeted keywords in the anchor text of links to your company website can help improve your search rankings that does not necessarily mean that you should include as many keywords as possible or place these links on sites or pages where they do not make sense. Please make sure these links are used in a way that is relevant to the content of the pages that are linking to your website, and use natural language rather than random phrases built around keywords you want to target. Besides, speed of acquisition matters. You can’t suddenly have a thousand of backlinks appearing overnight. It will make search engines suspicious. Getting a thousand backlinks can only be possible if you bought them and Google will penalize you for trying to trick them. The well-thought-out SEO strategy in general, and backlinking strategy in particular, has a huge impact on the brand visibility in the online space. According to statistics, it takes 5-7 brand impressions before someone will remember your brand. SEO is a direct driver of improved visibility and impressions in the search engine results. Websites that appear higher in the search results are viewed as more trustworthy and credible. In fact 98% of all searchers choose a business that is listed on Page 1 of the results. Improved brand awareness, business credibility, customer trust and loyalty are just few out of many benefits SEO provides for your business! SEO rewards your business for your efforts at a higher rate than all traditional forms of offline advertising — the same can be said for almost all types of internet marketing. The reason is because SEO is an inbound marketing strategy, i.e., it allows you to market to people when they are looking for the products and services your business provides. Would you want BestWeb Technologies help you with search engine optimization (SEO) ? Give us a call anytime! The highly-qualified team of BestWeb provides an unforgettable experience for businesses and their clients through innovative digital solutions. Website design & Mobile Development, Web Application Development services, E-commerce web systems, SEO, Google Adwords and Social Media Marketing are just a small part of a wide service portfolio, opening doors to enormous opportunities for your business success. Stay connected with BestWeb Technologies and be the first who will read our next article!